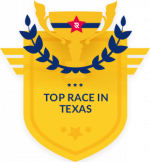 Fiesta Especial 5K ONLINE REGISTRATION IS CLOSED - But you can still register in person on 4/18 & 4/20! At this time, online registration is closed. However, you are welcome to register in person at our packet pick-up Thursday (4/18) between 12pm - 7pm at 1218 E Euclid Ave., 78212 or on the morning of the race (4/20) from 7am - 7:45am at 8601 Midcrown, 78239. Celebration Day Registration is now closed. Advanced registration is required and no one will be let onto the grounds without a registration. If you missed out on this year's festivities, please join our mailing list to receive notification when registration opens for Fiesta Especial 2020. Thank you! Fiesta Especial® is a community engagement program of disABILITYsa. Fiesta Especial® is also an official Fiesta® San Antonio experience created for children and adults with physical, cognitive and developmental differences and the family and friends who love them. Fiesta Especial® creates inclusive and educational experiences engaging individuals with disabilities in the culture, diversity and celebrations of Fiesta® through community instruction and training. Individuals with disabilities and our community are invited to take part in the Royal Court, Royalty Run 5K & Parade and Celebration day experiences. 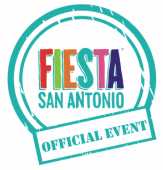 Fiesta Especial® is organized and hosted by disABILITYsa, Fiesta® San Antonio, The Fiesta® Carnival (Wade Shows) and the City of Windcrest. Please note - Fiesta Especial® Celebration Day and 5K & Parade are family-friendly, alcohol-free, smoke-free, drug-free and weapon-free events.